Lecture given at the Royal Welsh Agricultural Showground, Llanelwedd, on the 6th June 2006, as part of a series of lectures organised by ‘The Christian Centre for Rural Wales’. Introduction: Is there a future for the Rural Church? What sort of vision might we have then of a rural church? At a time when all the mainstream churches are faced with making important decisions as to how we can best face the future, the question of the future of the rural church seems loaded. As a province we are grappling with questions of finance and reorganisation and asking serious questions about our mission and ministry. At times like this, many people are tempted to look at the future solely in terms of financial viability, of viable structures, both administratively and in terms of buildings, and the best way to deploy our decreasing numbers of clergy. At all levels of church life, but especially in parishes, this creates uncertainty and if we are not careful, despondency. This is a risk in all dioceses and parishes, but especially in those areas where congregations are small, where buildings are old and costly to maintain and where it is harder to attract clergy to work. In the diocese of Llandaff, for example, where much of the archdeaconries of Morgannwg and Margam consist of industrial valley communities, with high numbers of church buildings, nearly all of which were built in the second half of the nineteenth century (and not always well built) and where traditionally it has not always been easy to staff parishes with clerics, (although these are wonderful places to work) people inevitably greet the news of reviews or restructuring with a certain reluctance. This is also true for many rural parishes and communities many of them with ancient buildings, costly to repair, but with small congregations. Often, the churches are part of large groupings which if they are fortunate enough to have a cleric serving them, might not have the opportunity of worshipping together every Sunday, or which celebrate the Eucharist together infrequently. Inevitably the question is asked is there any future at all for churches like this – is there any future for the rural church? The simple answer is of course yes. We, and of course here I refer to all the denominations working in Wales, have been entrusted with the work of mission and ministry – of living out and proclaiming the Gospel to the people of this country. And Wales is, predominately, certainly in geographical terms, a rural country. Away from the densely populated areas of South Wales – the cities of Newport, Cardiff and Swansea, the industrial valley communities, the larger towns such as Llanelli, Carmarthen, Milford Haven and Aberystwyth, and moving down from the more populous areas along the northern coast line around Wrexham in the North, the heartland of Wales consists of smaller towns, villages and communities which identify themselves very clearly as rural with around 960,000 people out of a population of 2.9 million people in Wales. Individual communities might appear to be numerically small but together they form the strength of the dioceses of St Davids, Bangor, Swansea and Brecon and St Asaph and significant areas of the diocese of Llandaff and Monmouth. Out of a total Church electoral role of 71,820 in 2004, 38,011 were living in rural areas. In looking at the future ministry and mission of the Church it is as much for these communities that we plan as for any larger city or town. And if the Church in Wales and her sister churches have a future then the rural church has a future. How best to serve these communities and to enable them to grow might well be a challenge, but it is a Gospel challenge – one that we cannot avoid – since it is central to the command of Jesus to go out and make disciples of all nations. Let me, for a moment, say something about the challenges the Church is Wales is having to face in general before moving on the particular challenges which confront the Rural Church. The Church in Wales, in common with its sister churches, and indeed, with other large organisations and business, has had to face the reality of life in the 21st Century. At our disestablishment we inherited structures and attitudes which owed much to the Church of the past but which did not really anticipate the future. Eighty six years ago, no one could foretell the position of the Church in the 21st century when we are faced with smaller congregations, too many buildings, a large administrative structure, large costs arising for the most part from increasing pension contributions, and the need to ask parishes to fund their ministry in a way that they hadn’t had to before. Because of the remarkable financial achievements of the Church in Wales in the years following disestablishment dioceses until recently could look forward to an enormous subsidy from the province to finance their mission and ministry which meant that real costs of running dioceses and parishes were hidden from most church goers. For most of the 20th century, the Church in Wales was the most subsidised province in the Anglican Communion. This subsidy has been declining in recent years, and from 2007, each diocese will receive a block grant and will be responsible then for its own finances. The provision of this block grant will be reviewed and by 2009 dioceses face the prospect of funding all their ministry and mission costs. This has, and will, require enormous commitment from the members of the Church in Wales. We have to be realistic about what we can do, and to think carefully, about the best ways to fulfil our role. Of course, with the decrease in numbers of those attending churches (though not those who say they believe in God) the responsibility for raising finance has fallen on fewer people. Looking at the figure for giving across the Church in Wales, and particular in my present diocese, it has to be said that people are responding well, suggesting a level of commitment to, and support for the Church, which bodes well for the future. But we cannot be complacent. We have to be realistic about the way ahead. We have to ask ourselves some serious questions about what it means to be a Church and this means reflecting honestly about our situation. Some argue that as long as the money comes in, we can continue as we are. This is a particularly appealing in a church where if we are honest, we feel rather comfortable in living in the past and where any prospect of change is resisted. I remember one conversation reported to me by an incumbent who, when trying to introduce the modern liturgy to his congregation, was asked by a member of the congregation, why he couldn’t leave things alone until all the old people died, and then change everything. But death is never a solution. In Christian terms, death always has to be transformed by resurrection and change. And finding ways of transforming situations must be at the heart of our planning. For example, numbers of worshippers have been in decline for some time. The latest membership statistics available tell us that between 2003 and 2004 average Sunday attendances for over 18s fell from almost 43,000 to a little over 41,500. You can see that we have to look seriously at mission. Some people have argued that the way forward is to have more clergy. But taking the Diocese of Llandaff as an example, we still have the same number of stipendiary clergy, around 160, that we had in 1995 a pattern replicated across much of Wales. If the clergy numbers are high and yet numbers of worshippers have fallen, then we can’t say that ordaining more clergy is the solution. We have to do something different. In fact we still have enormous resources which are untapped. Having said that average attendance numbers fell to 41,500 in 2004 we have to view that figure optimistically and say that we have over 41,000 people in our churches every Sunday. Few organisations in Wales can boast of that level of support. It means that we have representatives in every community in this country. With very few exceptions we also have a building in every community – often the Church itself, or maybe a hall. Many of our churches, especially in rural areas, are ancient, and attract people because of their historic interest. To some, this might be something of a stumbling block. The cost of maintaining an ancient building is great and there is no doubt that we have buildings which we do not need and cannot afford. The recent golden years when grant aid was widely available to fund major work will come to an end and undoubtedly difficult decisions will need to be made and indeed innovative schemes embraced. But the fact that we have churches rooted in communities, and that people look to those churches at the most significant moments of their lives, provides a wonderful opportunity for mission. Within dioceses and provincially we have been reviewing our structures to see how best we can facilitate the Church in its mission. Many people look at the Provincial and Diocesan structures as large and unnecessary. They are not. They are an essential part of the work of the Church. However, in recent years, the Provincial review has prompted dramatic changes in the way we govern ourselves. The Representative Body which oversees the property and finances of the Church in Wales has been restructured to make a smaller and more proactive body. The Governing Body is being reduced from over 400 members to fewer than two hundred, again making a more efficient legislative group. The Provincial Council for Mission and Ministry has gone to be replaced by a smaller staff of advisors who can work with the bishops and dioceses in thinking through their mission and help the dioceses in enabling that mission. A streamlined structure will hopefully allow us to concentrate on the job in hand. These then are some of the challenges that as a province we have been facing. How do they impact on the dioceses, and especially, on rural churches? Let me start by saying that there are examples of strong churches, chapels and communities in rural areas where the worshipping life, social opportunities and networks are greater than in many urban parishes. However, frequently our rural congregations are small, often predominately elderly (though this in itself is not the problem), and living through major changes in their communities. Rural life has changed. For example, agriculture is a significant part of the rural way of life, being very much at the centre of the self imagery and identity of Wales, as well as playing an important role in the managing and preservation of our countryside – something which often goes unappreciated. But figures tell us that agriculture accounts for less that 2 % of Gross Domestic Productivity in Wales. That is a challenging statistic. The changes and pressures faced by the agricultural community have been immense as new schemes and initiatives are unveiled in an attempt to meet the ever-growing demands of a changing world, and especially, an expanding and developing European Community. Changes and cutbacks mean the loss of what once was an important area of work with the result that many young people are lost to rural communities as they move away to college or to seek employment. For those who stay, there are often few jobs available. Communities often have large numbers of older residents, few children and young families, and increasingly, people who have moved to rural areas or who own property there which they use infrequently. For local people or young families rising house prices mean that they cannot afford to stay in many areas. For some who choose to stay poverty is a reality and for others a sense of loneliness or isolation is very strong. All of this means that many communities face significant changes in their way of life and in their understanding of what community life is about. If we add to that the challenges posed by factors such as poor transport, few retail outlets, a lack of employment, skill and training opportunities, childcare and leisure facilities we can see that community life is under threat. Inevitably this impacts on the life of the Church. Today when people move they do not instinctively seek out the Church and get involved. Once, the local church or chapel might have been the natural place to begin to make contacts in the community. This is no longer the case. For those who do seek out the church, they are in many cases seeking a limited involvement in that the pressures of a busy week, the competing pressures of a family Sunday, mean that they cannot commit themselves to more than Sunday attendance, and even that might not be on a regular basis. The opportunity to develop a weekday ministry is lost and congregations therefore are not as stable as once they were. Obviously the financial implications of change will have an impact on our smaller communities. In asking parishioners to give more to support the churches, we are asking in reality, small congregations, often people living on small incomes, or elderly congregations living on limited means. Churches not only need to pay the quota or diocesan share, they are also responsible for the heating and maintenance of the Church itself, along with the additional costs of ministry and mission. Often today, Churches are grouped with other churches – sometimes as many as 7 or 8. This has arisen from practical necessity and was seen as a positive solution to a changing situation regarding clerical staffing. Increasing, however, these large benefices are becoming unworkable. Few have more than one priest to oversee the work, which means that regular worship patterns are difficult to establish and where a church looks to its clergy for all its ministry, consistent teaching and pastoral work is all but impossible, running the risk that the priority of a church is the maintenance of the status quo rather than a genuine commitment to mission. In addition to that, in many parts of Wales, many communities worship in the Welsh language. It is part and parcel of the character of the community, and increasingly there are fewer welsh speaking priests available, and with the decline in ordinands in the Church in Wales, this is a situation which is likely to grow worse unless something exciting happens. The Church in Wales is a bilingual church and has a strong commitment to providing worship through the medium of Welsh. Many of our clerics are welsh learners, at least to the standard whereby the can conduct worship in Welsh, but that still does not address the need to develop vocations from the Welsh speaking community. So how do we move forward? In the diocese of Llandaff we are in the middle of a process whereby parishes are planning for their futures. This involves a number of projects but one is particularly appropriate for today. Parishes are engaged in mission action planning – deciding what should be their priorities in the next five years with regard to the life of the congregations both within and outside the church. This hasn’t just arisen from nowhere. It is part of a long review process whereby the diocese and parishes have been taking a long hard look at where they are in terms of mission, of what resources they have, especially those which are under used, and significantly what they can, and need to, become to be true ministering communities. It’s not an easy process. It is about congregations taking responsibility for all areas of the life. Few people really embrace change, especially when it results from an honest assessment of needs, but the process is vital if we are to develop our lives as a Christian community. Each parish has to have a vision of what it can be. Incarnational, reflecting the Christ who lived among us through its involvement in the local community and listening and responding to the needs, concerns and fears of the people. Light on structures by not being tied to doing everything that other churches do, or feel that once something has started it must be continued for ever. A spiritually growing people with prayer and worship of God at their heart. This is a very strong affirmation of the role of the Church at the heart of everyday life and gives a vision of what it can be in the future. This is the description of a Church which in its rootedness in prayer and worship, in its openness to everyone, and through its loving service to the community reflects the example of Jesus Christ who reveals God’s love in this world – a Church which exists to serve the world because it is alive with the spirit of the one who came into world to serve. Now, we could say that for any congregation, this should be taken for granted. But is this true? How often do we lose sight of our true purpose amidst a desire to preserve the familiar, or to not rock the boat or even to preserve what can easily become a rather comfortable social club? For my vision for the rural church I would want to recapture what I believe we have lost in our churches today – the responsibility of the whole people of God for making that Church a living, serving community. Let me tell you a modern parable. “On a dangerous seacoast, where shipwrecks often occur, there was once a crude little lifesaving station. The building was just a hut, and there was only one boat, but the few devoted members kept a constant watch over the sea, and with no thought for themselves went out day and night tirelessly searching for the lost. Many lives were saved by this wonderful little station, so that it became famous. Some of those who were saved, and various others in the surrounding area, wanted to become associated with the station and give of their time and money and effort for the support of its work. New boats were bought and new crews trained. The little lifesaving station grew. Some of the members of the lifesaving station were unhappy that the building was so crude and poorly equipped. They felt that a more comfortable place should be provided as the first refuge of those saved from the sea. So they replaced the emergency cots with beds and put better furniture in the enlarged building. Now the lifesaving station became a popular gathering place for its members and they decorated it beautifully and furnished it exquisitely, because they used it as a sort of club. Fewer members were now interested in going to sea on lifesaving missions, so they hired lifeboat crews to do this work. The lifesaving motif still prevailed in the club’s decoration, and there was a liturgical lifeboat in the room where the club initiations were held. About this time a large ship was wrecked off the coast, and the hired crews brought in boatloads of cold, wet and half-drowned people. They were dirty and sick, and some of them had black skin and some had yellow skin. The beautiful new club was in chaos. So the property committee immediately had a show house built outside the club where victims of shipwreck could be cleaned up before coming inside. Now, you can draw any number of points from that parable, but for the purposes of this lecture there are two themes which I want to draw out. First, that a life boat station exists to save lives. By the same token the Church of God exists to worship God and serve his world. It is the only organisation that exists for the sake of those who do not belong to it. It is, however, easy for the Church, just like this lifeboat station, to forget what its main purpose is and to become totally self-absorbed. Secondly, all the members were initially involved in life saving but soon they began to employ a lifeboat crew to do that work for them. I want to say that every baptised member of the Church has a part to play in the mission of God to his world, but in a church which has a stipendiary clergy it is easy to think that the responsibility for such a mission and ministry is theirs and theirs alone. As Professor Dan Hardy puts it “there has been a tendency to suppose that the Church is centred in the priest. Clergy have been seen as a kind of religious aristocrat whose very presence was the church”. The result then is, as he goes on to argue, that the task of ministry which belongs to all God’s people becomes restricted to those who are ordained. To be honest this is the situation in which we have found ourselves not in only in Wales but throughout the communion and is deeply rooted in the Anglican Tradition embodied in the writings of such figures as RC Moberley, Religious Professor of Pastoral Theology at Oxford from 1892-1903 and in Wales in the highly influential writing of Charles Green the former Archbishop of Wales and Bishop in turn of Monmouth and Bangor, notably in his commentary on the Constitution of the Church in Wales. For Green, bishops and clergy were the chief representatives of the risen Christ and bishops the sources of all ministry in the church. While in his writing Green underlines the duty of every member of the church to bear witness and to spread the faith, nevertheless the Church he envisaged was a hierarchical church set up by Jesus through the apostles whose successors were bishops who in turn delegated their authority to the clergy. His view of ordained ministry is that it is superior to and set over against the ministry of the laity and that the work of mission and pastoral care belong to the clergy. There seems little mention in Green of the Pauline image of the Church as the Body of Christ or indeed of the coming of the Spirit on all God’s people at Pentecost. In the Old Testament the Spirit of God was only given to special people – those who were priests, prophets or kings. In the New Testament, on the other had, on the day of Pentecost the Spirit was poured out on all God’s people – on all believers. So as St Paul puts it in 1 Corinthians 12 and Romans 12, “all God’s people make up the body of Christ” and each part of the body has his or her own particular function to perform. Each member has been given his or her own particular function to perform. Each member has been given gifts which are used not for his or her own use but to build up the body of Christ. These gifts have been given either through the Spirit at Pentecost or by the Spirit of God at baptism. The implication therefore seems clear – that every member of the body has a part of play in the mission of Jesus and this has been given not by the apostles but directly through the spirit through baptism. In and through baptism all God’s people are ministers of the Gospel. The theologian Miroslav Volf, Professor of Systematic Theology in California, in his book “After our Likeness” sums up the position when he says that the “Church is God’s new creation, grounded in the coming of the kingdom of God in the person of Jesus. It is the place where God dwells.” The presence of Jesus is therefore mediated not just through ordained people but through the whole people of God. It is he who gives gifts to his people. Moreover the New Testament regards calling or vocation as something that happens to all Christians. Many people, when they speak of people who are called by God to serve Him, automatically have in mind the ordained ministry. But the word vocare occurs only one in the bible: “walk worthy of the vocation set by God when he called you” (Ephesians 4:1). In the New Testament when someone is called, it is not to ministry or priesthood or any ministerial office but to be a Christian. The summons, the vocation comes from outside – comes from God. The divine call then, as far as the New Testament is concerned, is addressed to ordinary men and women that they might become disciples of Jesus. The call is to the acceptance of new life in Christ Jesus. St Paul always links vocation with a person’s call to become a Christian eg 1 Corinthians 1: 2 “God is faithful by whom you have been called into the fellowship of his Son Jesus Christ”. Calling and ministry belong to all God’s people. All God’s people are called to follow him, whatever they do and wherever they are. Christian faith is about attempting to live God’s life in the world (I John 3:14-18). Each person has some gift to offer. On this reading the laity are not passive recipients of the ministry of the clergy but together they minister to God’s world. Baptism not ordination is the primary sacrament. Paul constantly reminds his readers of the significance of baptism, eg in Romans 6: 3-11, I Corinthians 12:13, Galatians 3:27-29. Through baptism people have been born anew and this affects every aspect of their lives. In and through baptism people have died with Christ and have been raised to new life in him. Baptism is a commissioning for discipleship in the congregation and for mission in the world. Martin Luther picking up on this point said that he had been made a priest at his baptism and a minister at his ordination. Here, of course, Luther was echoing the first Epistle of Peter chapter 2, where all God’s people are called a royal priesthood. Where then do we go from here? There seem to be two diametrically opposed theologies. The one vests mission and ministry solely in the hands of those who are ordained; the other views ministry as the work of every baptised Christian. As 1 Peter 4:10 puts it “each one as a good manager of God’s different gifts, must use for the good of others the special gift he has received from God”. As a result of these two opposing view points lay people have felt that clergy have denied them a ministry which is rightly and properly theirs through baptism and clergy have felt that, if lay people begin to exercise ministry traditionally reserved for the ordained, then what will be left for them to do? They also complain that the laity do not always want to exercise such ministry. All of this against the background I outlined earlier of a sharp decline in church going, a sharp fall in those offering themselves for the ordained ministry and an increasingly difficult financial era for the Church. But is it possible to reconcile to hold both a high view of the place of ordained ministry as well as emphasising the crucial and fundamental ministry of God’s people called to by virtue of baptism? If it is, this could revolutionise our view of both mission and ministry, especially I believe for the rural church. As I have tried to indicate it is fundamentally a theological matter but God often forces us to examine our basic theological premises at times of crises, financial or otherwise in the life of a church. In recent years a great deal of theological work has been done on the place of the laity in the Church – the ministry of the whole people of God, both by eminent theologians and by various bodies such as the Word Council of churches in the Lima Report “Baptism, Ministry and the Eucharist” and by the three Anglican Roman Catholic Reports ARCIC I-III. Thus the Lima Report stresses the calling of the whole people of God and places the role of the ordained firmly in that context, whilst ARCIC stresses that the whole church in its life and service is the instrument of Christ in his work of reconciling people with God and one another. The ordained ministry can only be rightly understood within the broader context of the various spirit gifted activities within the church. The trouble is that it is possible to subscribe to these views intellectually and yet somehow for it to make no difference in practice to the life of the churches. Our theology may be right but we tend to revert to old methods and models of doing things. The ordination service of the Church in Wales holds a view of ministry similar to the one adumbrated by the Lima Report. The bishop’s charge explicitly says that “all baptised persons are called to make Jesus Christ know to men as Saviour and Lord, and to be fellow workers with him in his renewing of the world”, yet that has not prevented us as a church from regarding ministry as essentially a clerical prerogative, in spite of the fact that the ordination charge places the ordained ministry in its proper ecclesiological context and sees all ministry as a continuation of Christ’s ministry in the Church and sees an ordained ministry as part of the corporate ministry of that whole church. It is mean to be a collaborative ministry. Moreover this ministry exists according to the ordinal to serve the world It is because of one’s baptism that this ministry is to be exercised, for it is baptism that commissions Christians to the work of God’s mission. As the Church in Wales Catechism puts it “the Church carries out its mission through the ministry of all its members”. The Church in Wales has found it possible at one and the same time to arrive at a new understanding of the role of the laity whilst in practice continuing the old model of ministry being the prerogative of the clergy alone.  However, there are provinces across the Anglican Communion in America, Australia, New Zealand, South Africa, Canada and in many dioceses of the Church in England and now in Wales, which have begun to examine the setting up of local ministry teams without diminishing the role of the clergy, but which take the discipleship of all God’s people seriously. Instead of seeing the Church as a community centred around a priest, the church itself is seen as a corporate body which becomes a ministering congregation. In other words, it ceases to be a congregation which is ministered to but becomes an active congregation and lives out God’s mission in the world. That has two immediate effects. It gives practical embodiment to the truth that there is one ministry in Christ and all the baptised participate in it according to the gifts given. Ministry is not restricted to those who are ordained but is exercised by all God’s people so that there is a sharing and mutuality in ministry. Secondly, the church community begins to take seriously its own commitment to mission and ministry to the world about it. It is, to quote Professor Dan Hardy, “the bearer of the life and purposes of God in highly particular situations”. The purpose of a ministry team is to enable greater outreach into the local community. It also enables a congregation to see how much it has been doing already without labelling it as ministry. Where this has happened, it has been backed by the diocese so that it is not a purely local venture but something that has been done in partnership with the wider church, and the diocese has offered the training necessary to the team chosen. This has made it clear that the task of mission and ministry belongs to the whole church and is not the ordained person’s work or work delegated to others but the cleric because he or she is hard pressed. If the language of delegation is used, then it is from Christ to the Church and from the church to its representatives, rather than from the ordained to the laity. Through baptism and the gift of the spirit the ministry of the whole church becomes associated with the ministry of Jesus. How might this help the rural church? Let’s look again at that vision of what that Church can be. A congregation which takes seriously its responsibility for its worship and prayer is a congregation which produces disciples. Worship and prayer become a life shaping priority rather than an obligation which in turn leads to worship which is challenging, enriching and formative. Worship reflects the life of a community; lives in their fullness are offered to God to be restored, healed and renewed for the service of His world. Well prepared and well informed worship encourages new members who can see for themselves the impact that faith has had on the members of a church and the power of that faith to give meaning, purpose and direction to the life of both individuals and the wider community. At a time when the sense and spirit of community is threatened, the Church is called to re-establish itself at the heart of a community. When its understanding of its mission and ministry grows from the life and experience of its congregation who have a direct responsibility for that mission, then it is better placed than ever to respond to the needs of the people in that place. In saying that the rural church is incarnational we are saying that the Church is found in the heart of the lives of those it serves. This is how the Church breaks down barriers – when what it does is not imposed but is a response to the genuine needs it encounters and unites people by being open to everyone and through its commitment to serve God’s people in his name. The desire to nurture and grow a congregation is not simply a reflex action to the fear of decline but a genuine desire to share the gospel message of love with those around. A congregation which is confident in its faith is a congregation which is ready to face the challenges that sharing faith brings. Properly resourced and well prepared courses which enable people to explore their faith become an essential part of making disciples who are confident enough in what is important to be flexible and open to the challenges that a growing congregation brings. A congregation which has the responsibility for mission and ministry is a congregation which is sacrificial in its approach to discipleship, in terms of both giving in time and talent looking beyond its own needs to the needs of the wider world. I realise that much of community life lies in the hands of people who are already committed to the Church. This can be further developed. A church which is at the heart of the community becomes the natural place for people to gather to celebrate the events which lie at the heart of its life, be they weddings, funerals, baptisms, or events which concentrate on the more difficult aspects of modern living – a place where people feel welcomed and wanted, a place to which they can turn without feeling judged or marginalised and a building, not wrapped in the memory of the past, or set aside as untouchably holy, but a living, welcoming space in which the life of the community is expressed. To achieve this, in a local ministry team you might expect to find a priest working with a congregation in which you find readers and teachers, in whom resources have been invested to enable them to develop the spiritual and intellectual life of that community. Others will prepare people for baptism, for confirmation and for marriage. Some will be trained to lead worship, to develop and enhance the musical and liturgical life and to develop new patterns of worship, to officiate at funerals and to work with the bereaved, and to develop the community life of prayer. Others will assist with the distribution of communion, not just in Church but to the sick in the community reinforcing the vision of the Church as more than just a building or those able to attend on a Sunday. Others might be trained to lead the pastoral outreach of the Church, to visit, to counsel, to develop links with other agencies and to lead the congregation to work with those who live on the margins. And working together as a team, planning the life of that congregation the Church becomes a responsible and active congregation, empowered in its own ministry so that others ministries might grow, some to ordained ministry and leadership, others to a new generation of lay ministry. And from this there will be the chance to open up important opportunities for the Church to be a sign of true community. The ecumenical journey in Wales has not achieved the sense of unity and shared mission that it should have. The ecumenical vision is still not shared widely enough, perhaps because it has not been rooted in the lives of individual churches and parishes. Ownership of mission and ministry in a community will hopefully develop a fuller appreciation of the traditions gifts and potentials that a truly ecumenical approach to the work of Jesus Christ in his world can achieve. By any standard, the duplication of work, of buildings, of structures by Christian denominations make no sense at all, and most importantly, disempowers the church of its role in promoting unity in a wider context. If we cannot continue as we are as denominations we have to take our ecumenical journey more seriously and that begins in our churches and chapels. It will also help us to develop our links with other agencies working in our communities. So much work is being done by other groups and yet we run the risk of duplication or not being taken seriously as a church because people fail to see what we are doing or have the potential to be doing. Recently a report the Stigma of Rural Homelessness in Wales from an organisation of which I am patron the Wallich Clifford Community arrived on my desk. Recognising that homelessness is as much a problem for the rural community as the urban community this organisation has been working to address the problem. As a Church we can offer so much if we are prepared to be partners in work such as this. But to be partners, we have to take seriously our responsibility to serve. And I know that many people in our churches are already involved in projects and that time and time again, we look to people who are already very busy to take on more responsibility in our congregations. Either that, or people look around the church and see only a few people, possibly ageing and think that nothing can be done. But that is simply not true. As I go around the diocese and province I am amazed at the enormous range of talent and experience which we have and yet overlook. People give of their time to other groups which as disciples they would willingly give to the Church. We give up too easily without fully appreciating the potential that our congregations have and often it is the smaller congregations which offer the most exciting possibilities. So what can the Church in Wales offer to parishes and communities to develop these gifts? Most dioceses are committed to developing the ministry of all God’s people and have officers to help parishes move forward. Resources are available for training and development as well enabling parishes to begin this process whereby they develop a sense of ownership for the mission and ministry. Since an individual’s commitment to discipleship needs to be encouraged, we have recently launched a rule of life scheme whereby we ask people to reflect on the importance of faith in their lives and to commit themselves to reflecting that importance through a commitment to developing their spiritual lives, to active discipleship and stewardship. As a Province we encourage every diocese to have a rural life advisor, we have people who take a lead nationally on rural affairs, to ensure that rural communities have a place at the heart of the diocese so that their needs and their distinctive contribution to the work of ministry are taken seriously. Provincially we have a long history of working with and for the rural and agricultural community not only with resources and reports but also active involvement with other organisations, in providing support at times of crisis, more recently being involved with the Rural Recovery Community Support Project and encouraging the wider Church in its commitment to rural concerns. In that context I warmly commend the work book: Seeds in Holy Ground produced by the Rural Affairs Committee of the General Synod and the Mission and Public Affairs Council of the Archbishop’s Council of the Church of England and the National Rural Officer of the Arthur Rank Centre. This is a resource for discussion but also has suggestions for our Rural Churches. Our buildings continue to be at one and the same time a wonderful resource and a challenge. The Churches Tourism Network continues to present a wonderful opportunity to present our buildings as sites of pilgrimage and of historic interest. Much work is being done on looking at ways in which buildings can be developed as community resources with weekday access and use. But let me end where I began with a wholehearted commitment to the Church’s ministry in rural areas. These are exciting times, we face challenges but we also are confronted with great opportunities. We can meet them, we have before and with God’s help and a renewed commitment by all members of the Church we will again.